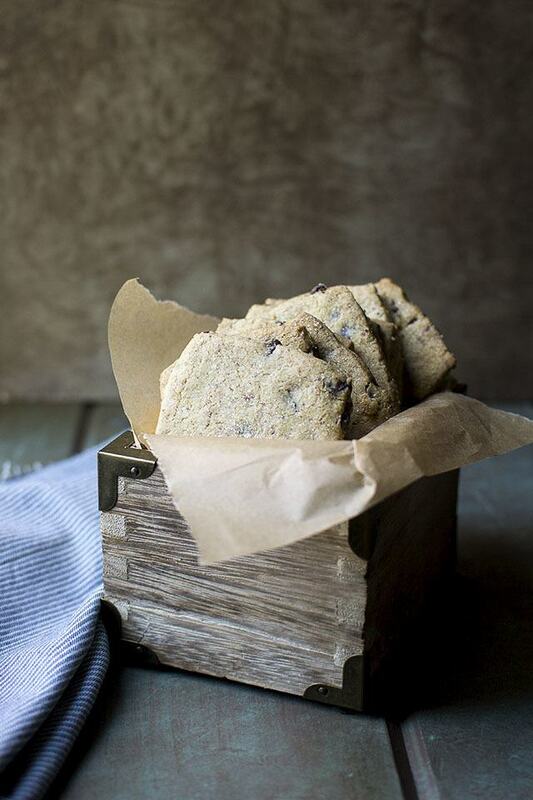 Crispy and delicious Almond Cacao Nib Cookies. This cookies dough is very easy to work with and they are great to give as holiday gifts. In a large mixing bowl, beat the butter and sugar until light and creamy. Add the vanilla extract, heavy cream and mix well. Sift in flour and baking powder into the bowl, then add in the almond meal/ flour and cocoa nibs. Mix well until just combined. Wrap the dough in a cling wrap and chill it in the fridge for at least 1 hour. In the mean time, preheat the oven to 350°F. Roll out the chilled dough into 4mm thick disc. Using a cookie cutter, cut the dough or slice them into squares with a sharp knife. Place the cookies on a parchment lined baking sheet and bake for 14~16 minutes or until they are lightly golden and crisp. Sprinkle the granulated sugar on top and allow to cool.